ColorBox Classic Pigment Cat’s Eye inkpads are a favorite among paper crafters world wide. They are loaded with pigment ink and can be used to apply colour to any size of stamp. 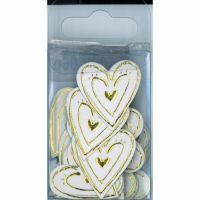 The slow drying time makes them suitable for heat embossing. They make ideal traveling companions for crops and retreats. Shown here in Evergreen a lovely dark green colour, available in a range of other colours including metallics.